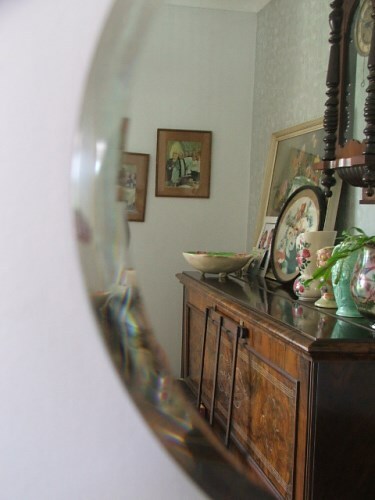 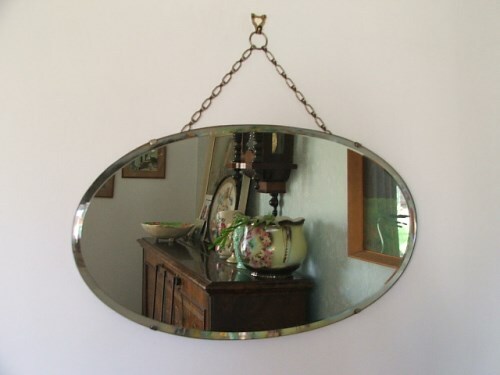 Vintage or retro oval wall mirror, the actual mirror is fairly clean with only minor marking, but there is some wear to the bevelled edge, top middle, which is hard to show in the images. 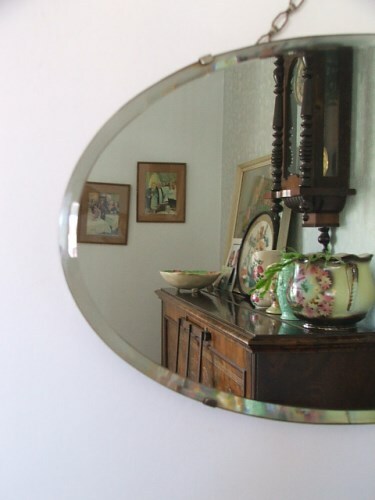 There is also a mark to the left hand side on the bevelled edge. 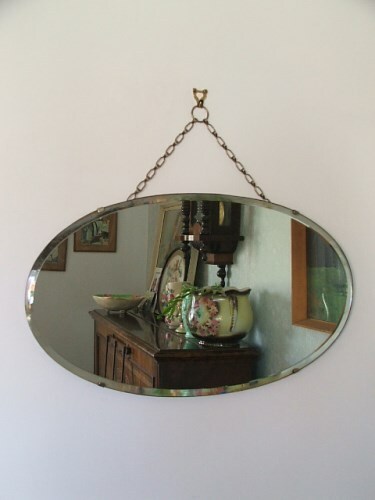 The mirror measures approx 21.75 x 13"